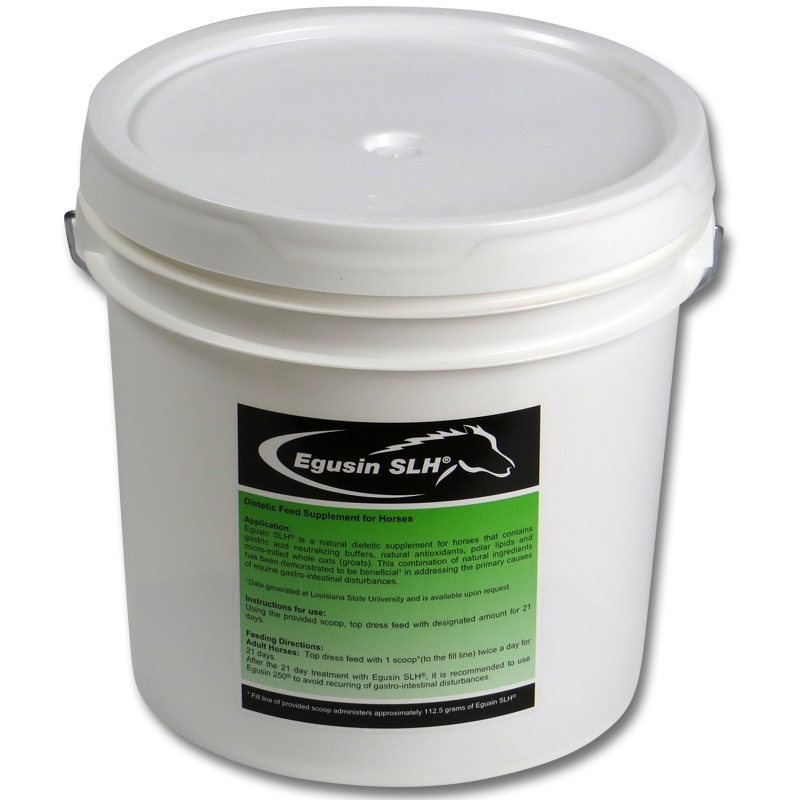 Egusin consists of two types of stabilizing dietetic feed supplements for adult horses, young horses and foals suffering from EGUS, stress periods and an imbalance in the intestinal system due to a high production of excess gastric acid. 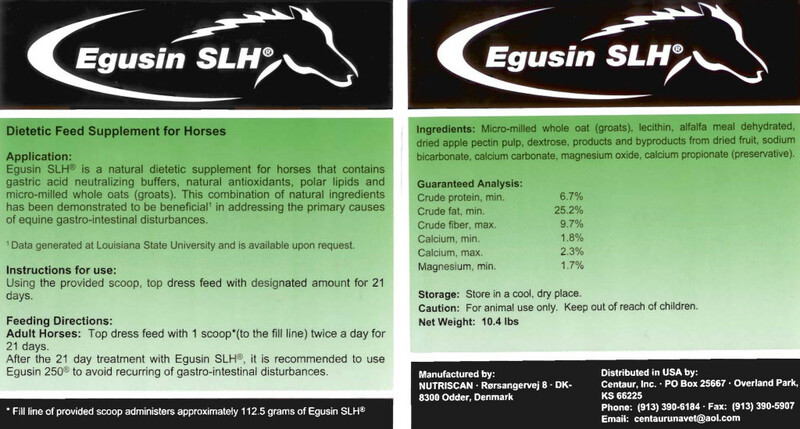 The Egusin concept is based on a unique combination of active nutraceuticals, neutralizing excess gastric acid, protects the stomach lining and preventing the formation of “stress stomach” and stress related colic and diarrhea conditions. 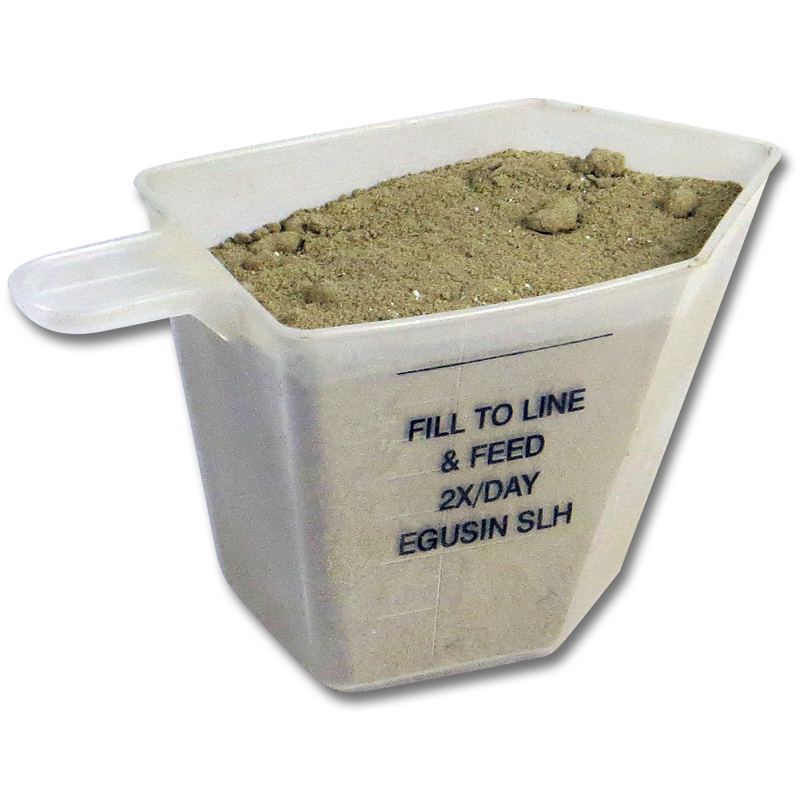 The Egusin concept consists of two types of stabilizing dietetic feed supplement: Egusin SLH®– used as the first dietetic feed when “stress stomach” is observed. 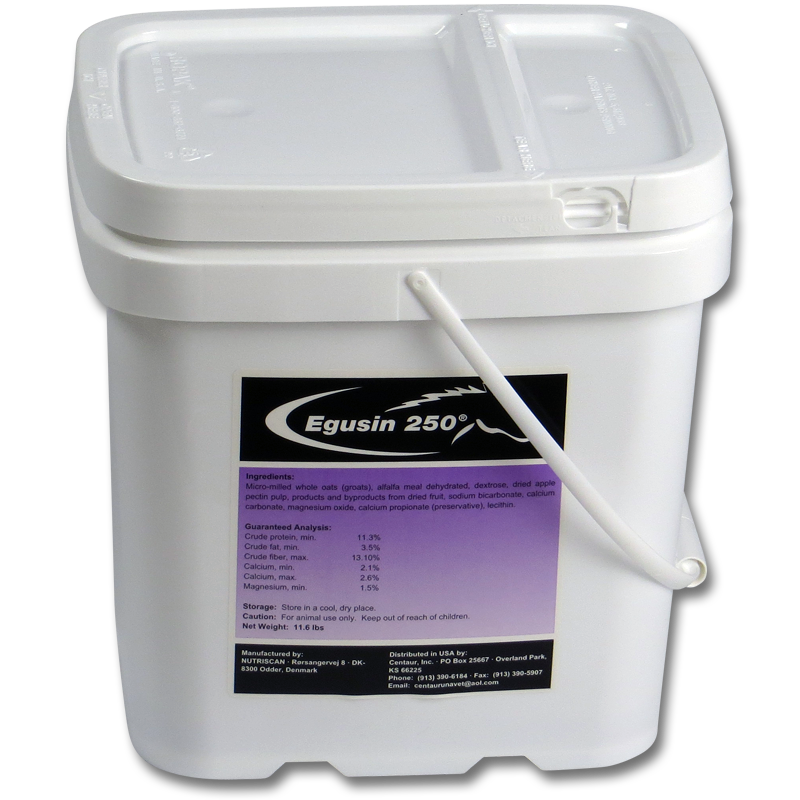 Egusin 250®– used as a “second follow diet” to maintain proper stomach function. Egusin is an affordable, natural alternative to other regimens! Egusin was recommended by the vet. 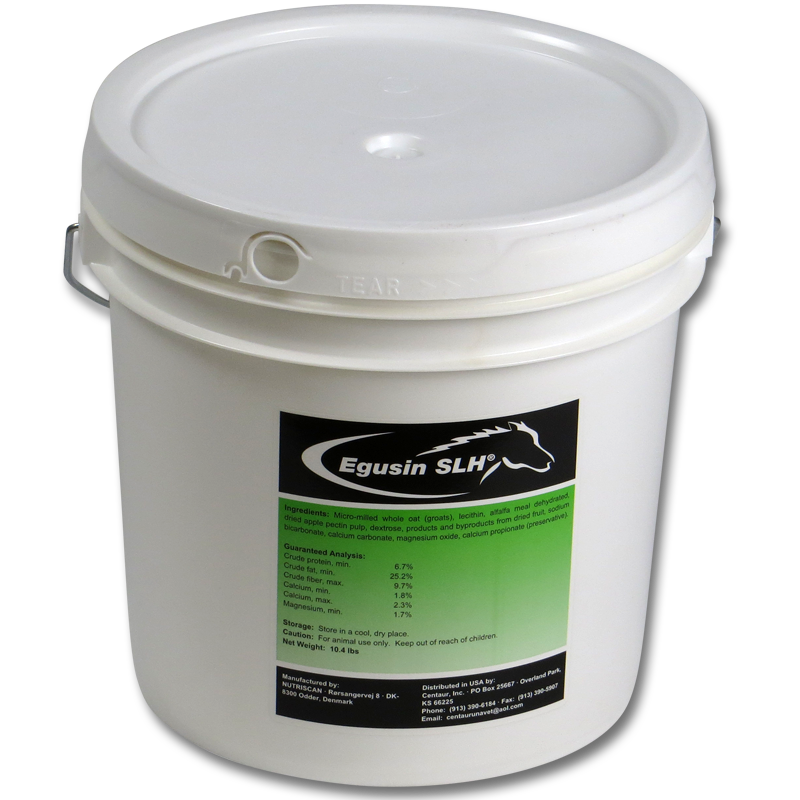 Before use, horse was prone to mild colic. Since use- no episodes of colic. Rechecked by the vet (holistic vet) and he felt the problem was resolved. Easy to feed. Seems to be keeping Prince ulcer-free. I’m planning a trip cross country in July-August. I have elected to give Lordy Egusin preventive for stress on trailering 1800 miles in addition to being in a busy apprentice program for 4 weeks at the Parelli Ranch in Colorado. Thank you for an awesome product! I treated horse in Jan. 2012 for ulcers. Horse tested positive on ulcer acupuncture points. Dull coat & nervous behavior, sensitive, highly reactive, picky eater. Within 2 weeks improvement could be seen. I have recommended this product to 5 people all of whom have had great results. Also being a licensed Parelli Professional, I love “natural” products that work! Jasper was scoped a year ago and had small ulcers. After treatment with Gastro Guard, he was better (it’s very expensive). He would then act like his stomach was bothering him and someone reccommended Egusin. He seems much happier since being on your product…plus the price is good!